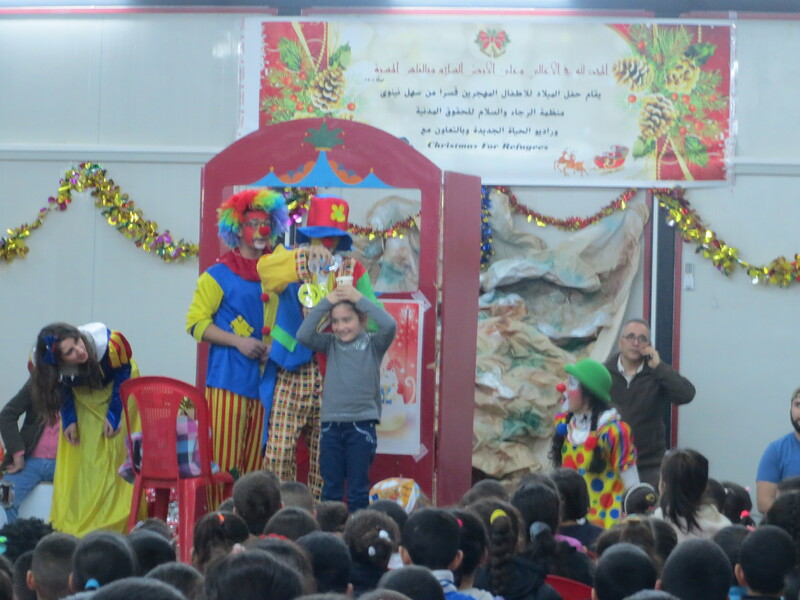 First year in Lebanon exceeds expectations – The ministry conducting our Christmas program in Lebanon was able to stretch the budget toallow for 1,100 rather than 1,000 refugee children and their families to be served. This was achieved by providing a voucher for food for the family rather than preparing a parcel or “joy bag” for each child’s family to take home. Each parcel was to have held $40 worth of food. Rather than purchasing, packaging and trucking the food, arrangements were made with local stores to accept vouchers for $40 worth of food of the family’s choice. This and other cost cutting measures helped a greater number of children and their families at Christmas. 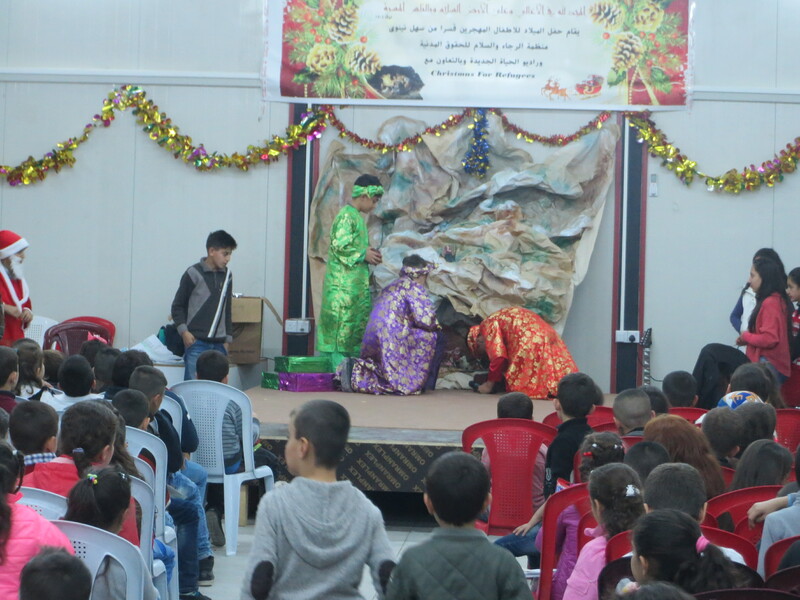 Children watch a puppet show explaining the birth of Christ before their meal. The last event in Lebanon will actually be held the same day this newsletter is being mailed, January 2nd. It is for 200 children newly arrived from Mosul, Iraq. The reason for moving the date to January had to do with a food allowance from CARITAS, the Catholic relief agency, for these families expiring in December. Our food allowance of $40 for each family was able to extend the food for these families for one month in the hope that other agencies could assist them in February. Iraqi refugees are not legally allowed to work in Lebanon and the children are not allowed to attend the public schools. More on that later. Since the meals in Lebanon and Jordan overlapped and were spread over a period of thirty days, there was never a way for me to attend all of the events. I set aside ten days for my inspection trip which also included a stop in Egypt. 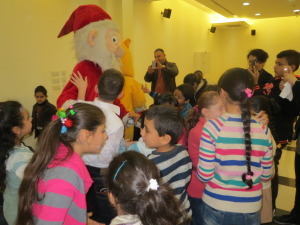 There were but four days in Lebanon and four in Jordan when I could be present at the Christmas events for the children. My main purpose, of course, was to observe how the programs were implemented to determine if the program could be improved or made more cost effective for next year, not to try to attend every event. I was pleasantly surprised by what I saw in Lebanon. The implementation of our program this year was flawless. Rather than attempt to rent halls and organize the dinners, all of the dinner programs were operated by churches, who were more than willing to help. Families were invited who had registered with the churches for aid. Because there are tens of thousands of refugee children and we were only able to provide for 1,100 this year rules were set to make sure those most in need were served. As an example, if a family were already receiving aid through a church program, the children were not invited. Only children from families registered with the individual churches and still on waiting lists for aid were invited. Because of the vast numbers of refugee families, particularly the newly arrived Christian families form Mosul, Iraq, an age restriction was also placed on the children to narrow the lists. Only children between six and twelve were allowed to participate, to further cut down the list without being forced to choose between families. If a Muslim refugee family from Syria had registered with the church for aid and was on a waiting list, they were invited with the understanding that the story of the birth of Jesus would be presented to the child. While many declined, there were some Muslim children who were present and who were told that Jesus came as part of God’s plan to forgive the sins of mankind so that all who believe in Him may be saved and live eternally with Him in heaven. 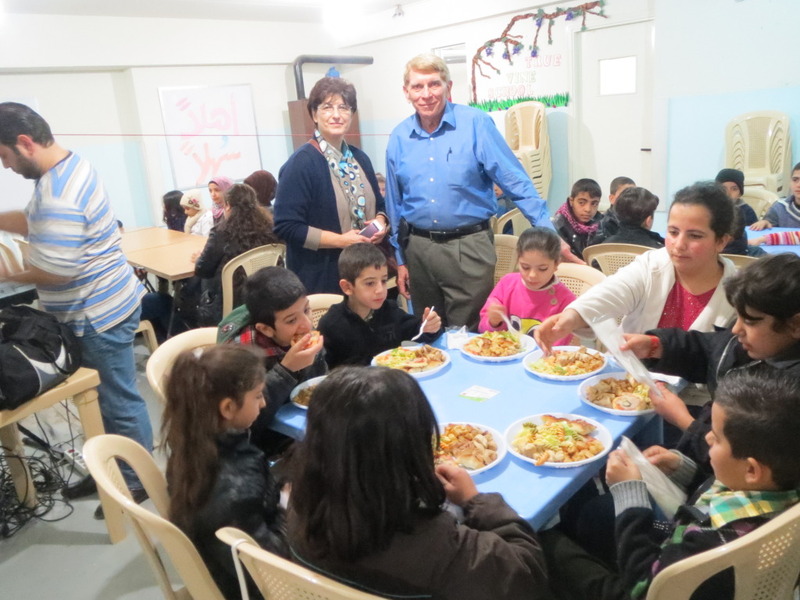 One of the events at which I was present was at the True Vine Baptist Church in Zahle which is located in the Bekaa Valley. Areas in the Bekaa Valley in Lebanon closest to Syria have been the scene of problems with the Islamic State (ISIL). In August, ISIL fighters overran the border city of Arsal in the Bekaa Valley and kidnapped twenty-four Lebanese soldiers. The demands of ISIL are not clear, but the Lebanese government has said it will not negotiate with terrorists. Two years ago the CIA was training ISIL fighters in Jordan because the Obama Administration thought that they were moderates wanting to establish democracy in Syria. Since it is winter now, many of those fighters are hiding in refugee camps in Lebanon. There are no United Nations camps in Lebanon. The tent cities that exist have been built for the most part with funds donated by non-profit organizations. Sadly, during the winter the ISIL and al-Nusra Sunni fighters will hide among the Muslim refugees in the camps, which is the reason staff advised against my attempting to enter the camps in Lebanon. 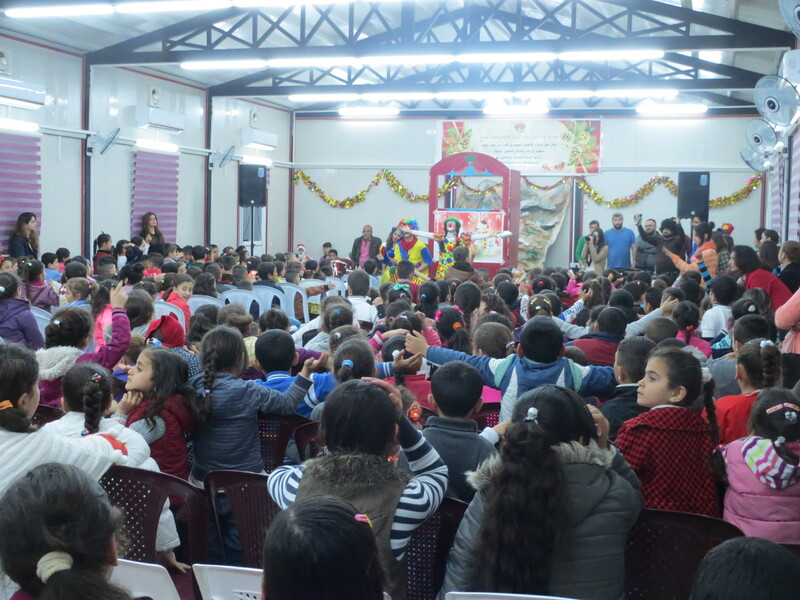 “Over 300 children and their parents received this wonderful Christian program the week before Christmas at just one event held at an Orthodox Church. In all, over 1,000 refugee children in Jordan were reached during the Christmas season. The Bible Society of Jordan participated as well, giving each family an adult Bible, a children’s picture Bible and children’s coloring and activity books with stories from the Old and New Testaments. The event Bob Armstrong describes above was unusual in that the situation called for us to include 300 children in one dinner rather than in three separate events. This of course reduced the total number of events held in Jordan. All the families involved in this larger event were freshly from Mosul, Iraq. They had fled their homes in July when Islamic State (ISIL) fighters captured the city, Iraq’s second largest, and told Christians: “Convert, leave or die.” They were allowed to take nothing with them other than the clothes on their back and escaped to the city of Irbil in the Kurdish controlled area of Iraq. From there they had made their way to Jordan where they were welcomed by the government. Still, adults are not allowed to work legally in Jordan and the families have no income other than aid. 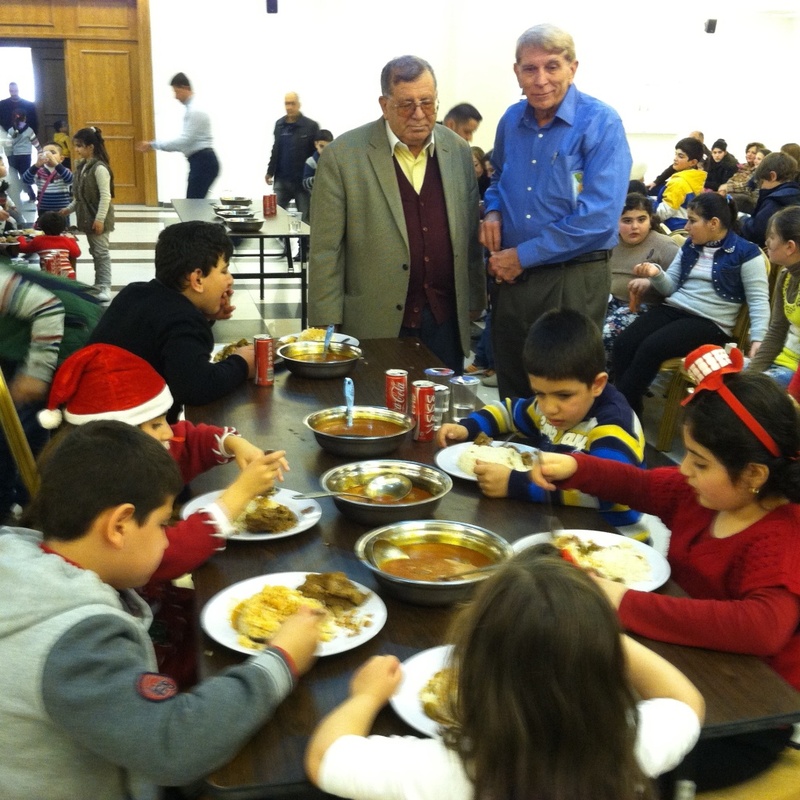 At this event all of the children from each Iraqi Christian family plus one parent were allowed. This brought the total present to four hundred. Hot meals were served to all of those present including the adults and we were still able to stay inside budget and I will explain how below. After singing, games and the meal the children each received a bag of candy from Santa on the way out the door of the church. 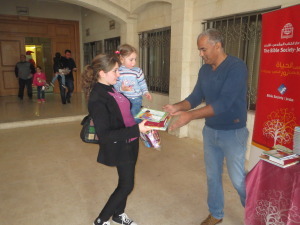 As they departed the church building each Iraqi Christian family received an adult Bible, a children’s picture Bible and two children’s work books, one with Old Testament and one with New Testament stories. items came from an aid warehouse the Religious Freedom Coalition supports in Jordan. 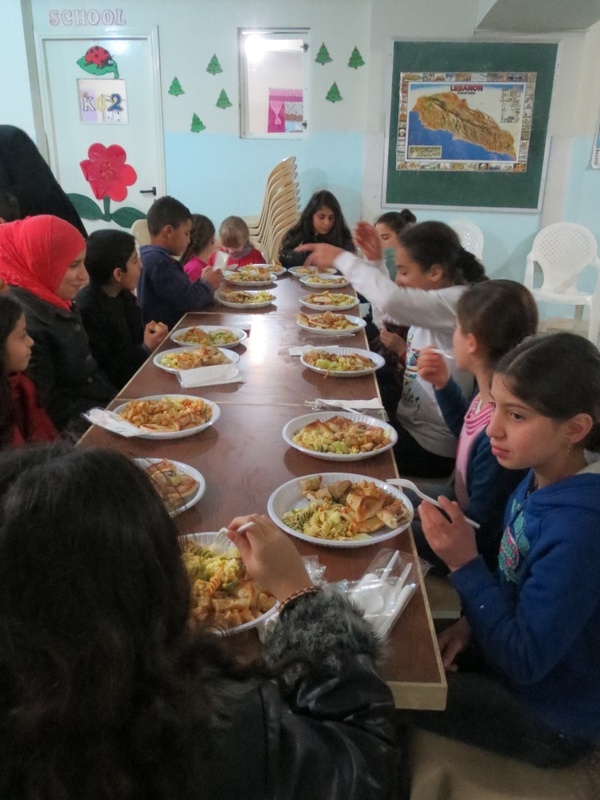 As a result we were able to expand the program in this instance to far more people than we could have otherwise, by using the food supplies already in place rather than buying them as we had to do in Lebanon. In Lebanon all of the events were smaller and local in nature so the families for the most part were able to make their way to the various churches for the Christmas programs. 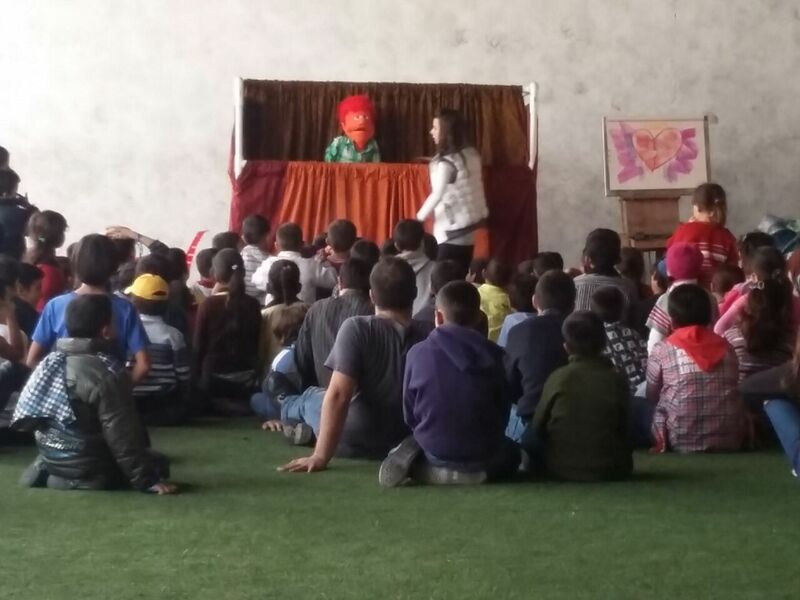 At this one larger event in Jordan, that was not possible and our ministry partner there, Manara International, arranged for buses to bring the families to the church. At smaller programs in Jordan the buses were not required. The program had its desired effect and that was to raise the spirits and the hope of Iraqi and Syrian refugees in the midst of the largest refugee crisis in history. Lebanon, a nation with just four million people, now has at least one and a half million refugees, mostly Syrian. Without a single new building having been constructed, the population of the city of Beirut has increased by 100% in the last three years. In the middle of this crisis there are real people, with real stories, who were driven out of their mostly middle class homes in what used to be advanced, wealthy nations before Western nations including the United States decided that they needed “fixed.” Rather than “fixed,” both Iraq and Syria are now failed nation states. The Religious Freedom Coalition is not a major aid organization, but we were able to bring the joy of Christmas to at least a couple of thousand children and their families at a bleak time for them. In 2013, because of the help of many such as yourself, we were able to bring Christmas to 1,000 children and in 2014 to over 2,000. 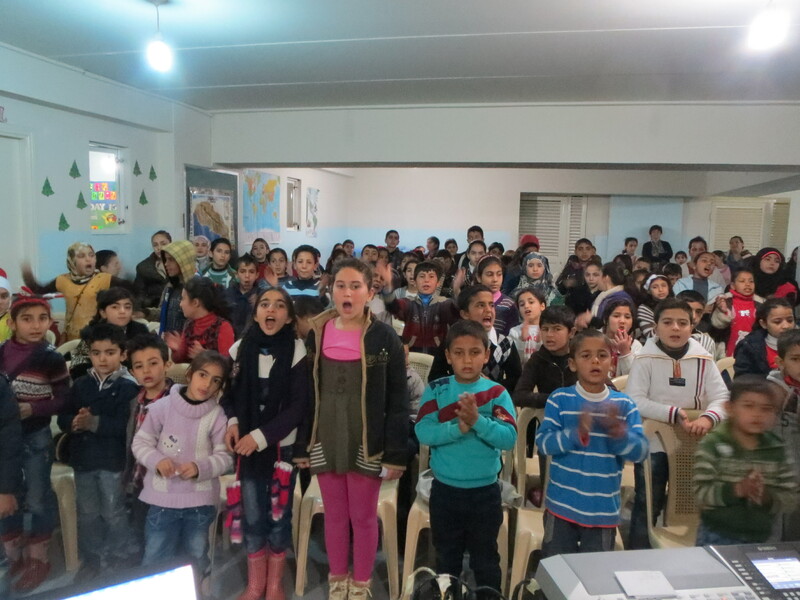 Please pray that next Christmas the program can expand to 4,000 or more. Thank you for your support!